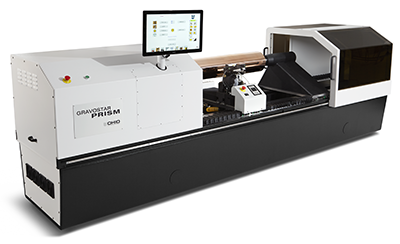 The Prism engraver for packaging gravure is designed with economy in mind, but not at the expense of quality. This is an ideal entry-level engraver with very high productivity and flexibility. The Prism uses the same Vision 3 engrave head as the Spectrum and offers the option of Hybrid Engraving or Impact engraving. 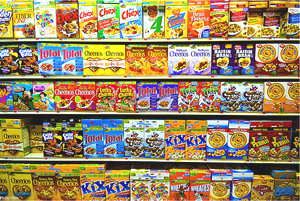 The Vision 3 engraves standard flexible packaging and decorative images at speeds up to 8,600 cells per second. Expand your capabilities and potential markets with the Prism's wide screen and stylus range, cylinder sizes, easy setup, fast engrave head, and specialty engraving options. OHIO offers several configurations of the Prism: the standard Prism, the Prism XL, the Prism Prime, and the Prism Prime XL. The Prism includes an integrated camera test cut function to make setup fast and easy. The head-mounted microscope is integrated into the semi-automatic system. The cylinder drive's servo system stops the rotation and efficiently places the cells within the camera's field-of-view for quick measurements. The cells are measured and verified on a large touch-screen display. 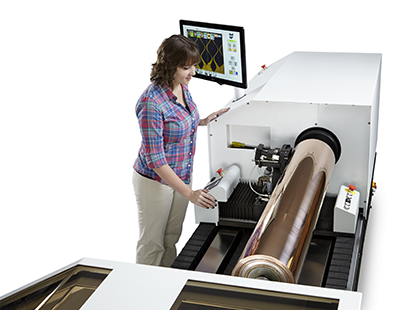 Engrave tone quality (for consistency between machines) can be further enhanced with the Mid-tone Correction function associated with the test cut. The engraver has a fixed position headstock and a live center on the tailstock and is available for hollow or shafted cylinders. The Prism Prime is identical to the Prism but adds efficiency with automatic cylinder face length verification and engrave head positioning; automatic head setup; real-time display of the engraved cells; and management tools with the Web accessible Engraver Dashboard. The Vista system for automatic head setup and automatic test cuts provides a “one button” machine – getting you into production quickly. Tip Calibration ensures that the stylus and shoe are positioned correctly. Stylus profiling ensures stylus integrity. Mid-tone stylus correction improves tone quality. Customers can choose between fully automated testcut setup using EasyCell with contour measurement, or the Quick Cell system for interactive cell measurement. End seeking sensors, for automatic head positioning, are now standard with the Prism Prime. Contact OHIO or your local representative to see if your older Prism Prime engraver can be upgraded. The DocuCell™ Capturing System makes it easy to record values: you define the tone areas in Collage, then DocuCell measures those areas while engraving, and record the values on the enhanced Birth Certificate. Additional quality management tools include the optional Vital-Proof system which digitizes the stylus motion of every engraved cell. This data is used to reconstruct the image of the actual engraving for comparison and statistical purposes. The network-accessibility of the Prism makes the Vital-Proof data, enhanced Cylinder Birth Certificate and Stylus Life database accessible from anywhere. Contour Measurement software improves cell measurement on Spectrum and Prism Prime engravers. The Prism XL engraver is for longer cylinders, but has the same features as the Prism engraver or the Prism Prime engraver. 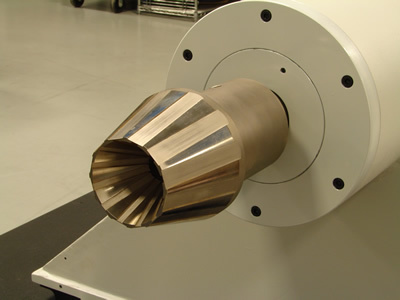 We offer cylinder spindle options for shafted cylinders, shaftless (hollow) cylinders, and universal (both shafted and shaftless). 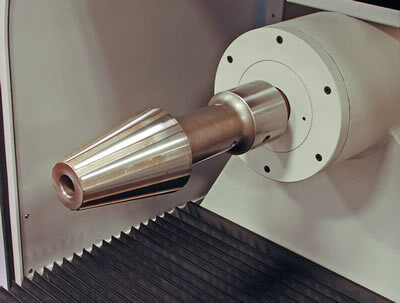 The Prism engraver uses a Live Center on the tailstock. Please see the specifications sheet for the machine size, cylinder size, and other information. View the Specifications sheet, sales brochure and more on the Sales Literature page. The Prism engravers can be fitted with a number of options to suit your needs. Note only the Prism Prime can have the Vital Proof or Hell/DTG Match options. The Birth Certificate is a standard feature of the Prism Prime that is not available on the standard Prism. OHIO Gravure Technologies in Dayton, Ohio USA designs and manufactures advanced equipment for the global gravure printing market. The Engineering, Software Development, and Manufacturing groups work to provide innovative solutions to improve quality and productivity, such as the award-winning Hybrid Engraving System. 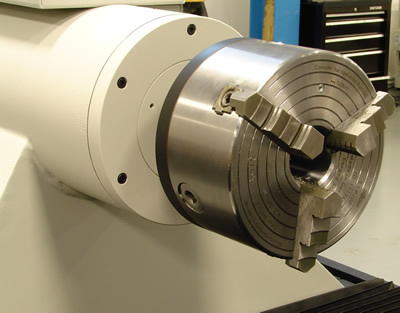 Our engineering specialty since 1980 is our sub-micron accurate cutting system (Vision engrave head). We provide installation and support for our electromechanical engravers and the prepress layout software Collage for gravure printing.